Incident response software automates the process of and/or provides users with the tools necessary to find and resolve security breaches. Companies utilize the tools to monitor networks, infrastructure, and endpoints for intrusions and abnormal activity. They then use the programs to inspect and resolve intrusions and malware in the system. These products provide capabilities to resolve issues that arise after threats have bypassed firewalls and other security mechanisms. They alert administrators of unapproved access of applications and networks. They also have the ability to detect a variety of malware variants. Many tools automate the process of remedying these issues, but others guide users through known resolution processes. Many incident response solutions function similarly to security information and event management (SIEM) software, but SIEM products provide a larger scope of security and IT management features. Incident Response reviews by real, verified users. Find unbiased ratings on user satisfaction, features, and price based on the most reviews available anywhere. Rapid7 InsightIDR is a fully integrated detection and investigation solution that gives you the confidence to identify a compromise as soon as it occurs. InsightIDR leverages attacker analytics to detect intruder activity earlier in the attack chain, cutting down false positives and unnecessary work for security professionals. Hunt for actions indicative of compromised credentials, spot lateral movement across assets, detect malware, and set intruder traps. Make investigations 20x faster by uncovering insight hidden in your user activity, logs, and endpoints. With InsightIDR you can get up and running in hours, gaining the insight you need to make better decisions, faster. Swimlane is a leader in security orchestration, automation and response (SOAR). By automating time-intensive, manual processes and operational workflows and delivering powerful, consolidated analytics, real-time dashboards and reporting from across your security infrastructure, Swimlane maximizes the incident response capabilities of over-burdened and understaffed security operations. Swimlane was founded to deliver scalable, innovative and flexible security solutions to organizations struggling with alert fatigue, vendor proliferation and chronic staffing shortages. Swimlane is at the forefront of the growing market for security automation and orchestration solutions that automate and organize security processes in repeatable ways to get the most out of available resources and accelerate incident response. Swimlane offers a broad array of features aimed at helping organizations to address both simple and complex security activities, from prioritizing alerts to remediating threats and improving performance across the entire operation. Swimlane is headquartered in Denver, Colorado with operations throughout North America and Europe. 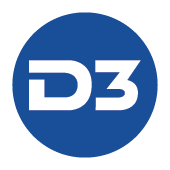 D3 Security provides a proven incident management platform that empowers security operations with a full-lifecycle remediation solution and a single tool to determine the root cause of and corrective action for any threat- be it cyber, physical, financial, IP or reputational. Demisto is a platform that provides automated and collaborative security solutions. The Resilient Incident Response Platform (IRP) is a platform for orchestrating and automating incident response processes. DERDACK Enterprise Alert® is an alert notification & mobile response software for on-premises and private cloud installation. It increases agility and responsiveness of operations teams in manufacturing, utilities, IT services, transport & logistics. Enterprise Alert fully automates targeted alerting processes and provides for a faster, more reliable and effective response to incidents threatening the continuity of services and operations. This is in particular importance for 24/7 operated mission-critical systems and IT. Enterprise Alert provides automated, and persistent alert notifications by voice, text, push, email and IM. It tracks the delivery of notifications, acknowledgements and replies and reacts automatically on non-delivery or non-reply by utilizing escalation chains, on-call schedules and presence information. Enterprise Alert enables convenient scheduling of on-call duties by drag & drop in any browser. Based on scheduling information it can then alert the right engineers at the right time. Backup engineers and stand-ins are also available. IT service staff or engineers who are alerted often need to communicate with managers, on-call staff of other teams or subject-matter experts. Derdack´s Enterprise Notification Software provides perfect toolset for a real-time, anywhere collaboration experience. Handling critical incidents shouldn’t stop with acknowledging an alert. With our mobile app you can comfortably manage alerts, troubleshoot problems and even resolve them by triggering parameter-based IT automation tasks. The mobile app mobilizes incident management and makes you independent from your monitoring or service desk console. Enterprise Alert has been specifically designed for large and global enterprises and organizations with the highest demands in reliability, productivity, integrations and security. That is why our product is one of the very few, if not the only one, that fully addresses the needs that come with running business-critical operations such as enterprise IT, manufacturing lines, energy & utility creation and distribution. With experience in every industry, Symantec's Incident Response team can get your organization back to normal operations. The Siemplify Security Operations Platform is an intuitive, holistic workbench that makes security operations smarter, more efficient and more effective. Siemplify combines security orchestration, automation and response (SOAR) with context-driven case management, investigation and machine learning to make analysts more productive, security engineers more effective, and managers more informed about SOC performance. 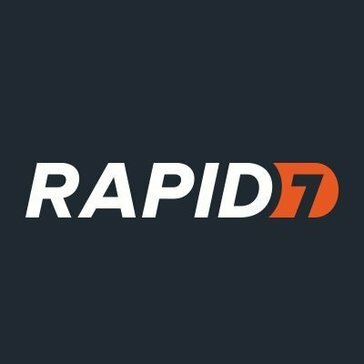 A scalable, open source and free Security Incident Response Platform, tightly integrated with MISP (Malware Information Sharing Platform), designed to make life easier for SOCs, CSIRTs, CERTs and any information security practitioner dealing with security incidents that need to be investigated and acted upon swiftly. Cyber Triage™ is incident response software that simplifies the collection and analysis of endpoint data. Cyber Triage enables companies to have a first response capability by automating the collection and analysis of endpoint data that answers the triage questions. It provides endpoint visibility without requiring software agents. It compares data with other systems in the enterprise to help responders know what is normal. It makes the results available during future responses so the knowledge can be shared. CylanceOPTICS uses machine learning (ML) and artificial intelligence (AI) to identify and prevent widespread security incidents, providing consistent visibility, targeted threat hunting, and fast incident response. StealthDEFEND is the real-time threat analytics component of STEALTHbits’ Data Access Governance Suite. Leveraging unsupervised Machine Learning, StealthDEFEND eliminates excessive and undifferentiated warnings to surface truly meaningful trends and alerts on attempts to compromise your sensitive data. TOP FEATURES: - Unsupervised Machine Learning – Analyze a rich set of data with Machine Learning models that evaluate, correlate, and baseline the activity and behavior of users. - Seamless Sensitive Data Integration – Threat and Data Access Governance information is seamlessly integrated, further reducing noise by honing in specifically on the files that matter most. - Preconfigured Threat Models – StealthDEFEND has been purpose-built to detect file system threats associated with Ransomware, Abnormal Behavior, First Time Host Access, First Time Client Use, Unusual Processes, and more. - Response Playbooks – StealthDEFEND's actions engine automates security responses and connects various security applications and processes together with multi-stage actions. Out-of-the-Box or custom "Playbooks" can be leveraged to respond to threats automatically or programatically. - User Behavioral Profiles – Concrete understanding of each individual user’s behavior is incorporated into StealthDEFEND’s threat analytics and Machine Learning models, complemented by visuals that make understanding any user’s normal behavior a trivial task. - Comprehensive Investigations – Create, configure, and save detailed reports, alerts, and threats on User and Group activity. - SIEM Integration – Out-of-the-box SIEM integration and preconfigured dashboards extend ready-to-use functions. - Real-Time Alerting – Real-time security alerts powered by Machine Learning allow you to master your threat data in a continuous way that leads to faster investigations and threat neutralizations. - Interactive, Real-Time Visualizations – Through a unified web presentation layer, threat data is streamed, processed, and visualized as it happens, including modern visualization elements like heat maps that update themselves in real-time to bring data to life. - Incident Detection Response Workflow – Quickly coordinate your team’s efforts so they’re prepared to share information and track who is working on an issue at any given time. ThreatCloud Incident Response helps mitigate future risks with post-incident reports and security best practices advisement. Hexadite Automated Incident Response Solution is a software that remediates threats and compresses weeks of work into minutes, it optimizes overtaxed security resources for increased productivity, reduced costs and stronger overall security. Every incident is unique and one plan won’t fit all situations. Cobalt helps you manage all those “What if?” moments and makes sure everyone is reacting accordingly. The result? The response you plan is the response you get. Our comprehensive platform provides the simplest and most effective way to coordinate your response team and track progress for incidents major and minor.This increased efficiency will get you back in business, faster. Cobalt is a cloud-based, incident response system that keeps businesses and communities safe. Based on a highly secure “off-the-shelf “, per user, software service; Cobalt helps you plan for and respond to incidents as they unfold, right on your mobile device. Cobalt can also automatically trigger protocols to dispatch response teams immediately, right from your phone. Now distributed by major public safety organisations like Motorola Solutions, Cobalt Mobile App allows users to access critical files, send mass notifications, trigger alerts, respond to assigned dynamic tasks, control patrols, and track security guards, keeping the command center and management team always up-to-date. In 2016, Cobalt was inducted into the Business Continuity Institute (BCI) Hall of Fame and received the World Innovation Award by the CIR Magazine after winning the Middle East Innovation Award, by the BCI, in 2013, 2014 and 2015. Cobalt is used by governments and financial institutions to keep operations intact when incidents occur. If you have any questions, don’t hesitate to reach out. Our team is always on hand to help make sure you and your organization are running smoothly. Proofpoint Threat Response takes the manual labor and guesswork out of incident response to help you resolve threats faster and more efficiently. Kona Site Defender is designed to protect the web and mobile assets of organizations from sophisticated and targeted web application and DDoS attacks by providing customizable and advanced security features. CimSweep is a suite of CIM/WMI-based tools that enable the ability to perform incident response and hunting operations remotely across all versions of Windows. Redline provides host investigative capabilities to users to find signs of malicious activity through memory and file analysis and the development of a threat assessment profile. Comprehensive post-delivery protection against targeted email attacks, powered by machine learning and automated response capabilities. The ServiceNow Instance Security Dashboard gives your ServiceNow administrator quick and easy visibility to your instances' current compliance levels based on application security standards. Control your website traffic with pat. pending click and block tech. Attack Mitigation System is a network security software with several security modules, like network behavioral analysis and intrusion prevention. Ayehu eyeShare is an IT toolbox that automate IT processes, using a visual workflow and pre-built activities it can automate tasks across systems Linux, Windows, Active Directory, File systems, Database, Storage, Network, Web and many more. CDS technology analyzes in real time all communications between machines in your network. CDS offers comprehensive security coverage to defend organizations against the cyber threats of new generations. Continuity Engine ("CE") is a business continuity software that protects your most mission-critical applications with a goal of zero downtime. Beyond HA or replication, CE takes a proactive approach with true continuous data protection. CE delivers near-zero recovery times by monitoring the health of your applications and instantly failing over if a threat is detected. Simply put, we can help you prepare for and protect your applications, servers, and data from disaster and unplanned outages. DarkMatter's Cyber Network Defence division provides sophisticated active defence solutions, including assessments, penetration testing, threat hunting, and incident readiness and response services to help organisations unify and strengthen their security programmes. CyberSponse is a enterprise automation and orchestration platform that combines both cyber security solutions with human intuition. Our Content Threat Removal Platform is the world's first cyber security solution that mitigates the risk of stegware attacks that hide from detection using steganography techniques. Evanios provides end-to-end visibility and actionable intelligence for dynamic IT environments. Utilizing preconfigured logic, machine learning algorithms, and ITSM contextual data, it automatically reduces alert noise, prioritizes events, identifies root cause and predicts outages before they occur. Malware Analysis (AX series) products provide a secure environment to test, replay, characterize, and document advanced malicious activities. Malware Analysis shows the cyber attack lifecycle, from the initial exploit and malware execution path to callback destinations and follow-on binary download attempts. Security orchestration and automation helps you improve response times, reduce risk exposure and maintain process consistency across your security program. Being able to simplify your security operations means being able to prioritize alerts, improve staff efficiencies and decrease response times. Hi there! Can I help you find the best Incident Response solutions?